Kedleston Hall, a home for Curzon family, is probably one of the most famous stately homes in Derbyshire, and certainly one of the grandest venues next to Derby. 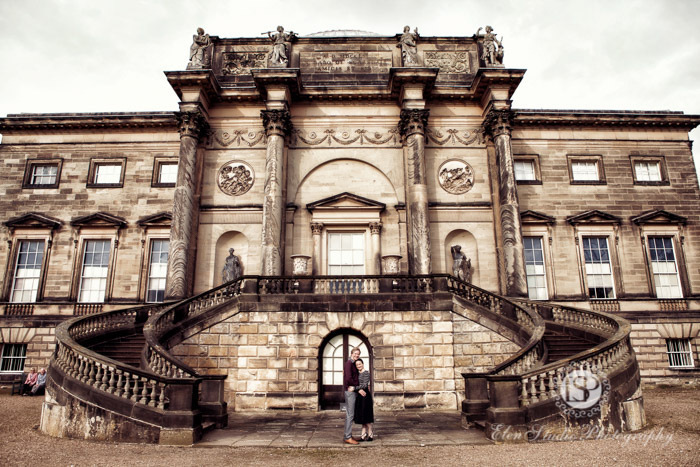 The grounds here have quite a romantic countryside atmosphere, this is probably why Iryna and Richard, my wedding couple, wanted to have their engagement photos Kedleston Hall. We decided to have this shoot done in October so that the background would be different to their wedding photographs in the spring time. If you’ve been there you know that the heart of the grounds is the magnificent 18th century Hall itself. We started our romantic photo shoot from the back of the hall, the side with the double staircase. With laugh and kisses, the guys went up the stairs, walked down and had a few shots just at the bottom of the staircase. Then we went on for a stroll in the grounds, found some benches, went to see the riverside and just had very good time. Iryna and Richard were amazing, they laughed, smiled and even had some dance movements which, of course, I did capture with my camera. We all enjoyed the walk and this informal session. From my experience, engagement sessions help the couples to relax and get confident in front of the camera prior to their wedding day, and this is what Iryna and Richard said too. Well, keep on my blog for Iryna and Richard’s wedding pictures which will come soon! 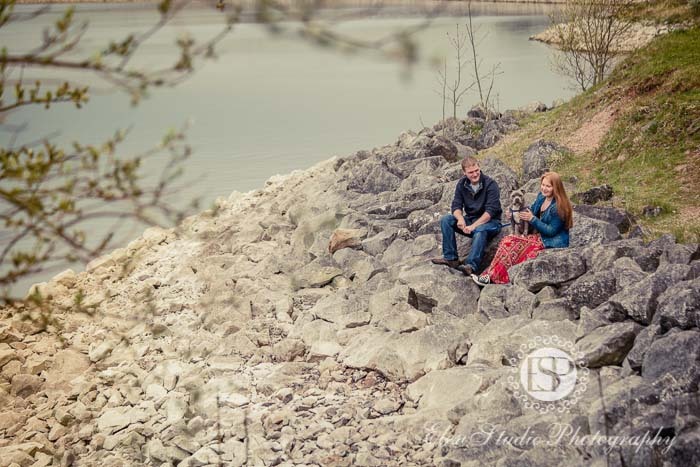 I’m pleased to present these Foremark reservoir engagement photos of Jo and James. The location was unusual, at least for me, as I was here for the first time. Jo and James chose this interesting location because it was very special for them. They also took to the shoot another member of their family, their dog. I always welcome when my couples choose special locations or do something special during the shoot, so here we had both. It was a weekday and the path around the reservoir was quiet. We had a lovely and relaxed walk around, stopping for a a few shots here and there. Foremark reservoir has beaches, rocks and trees on its banks so there was variety of backgrounds to get a good variety of pictures. Such a lovely place, I will definitely come back here with my family! It was pleasure to photograph Jo and James. They prepared very well in terms of outfits and location. They were relaxed and, in general, were themselves which is very important during any engagement or wedding photo session. Such engagement shoots always help the couples to get confidence being in front of the camera and see photographers as good old friends on the wedding day. Keep an eye on Jo and James’ wedding blog soon! I’m pleased to present these beautiful images of Rebecca and Daniel from their Newstead Abbey engagement photo shoot. We, at Elen Studio Photography, always welcome couples choosing a unique and/or special location for their engagement photo shoot. Such were Rebecca and Daniel – they suggested to have their photography session at Newstead Abbey, a stunning Nottinghamshire hall and gardens. As we scheduled the session on a Friday afternoon, the grounds were quiet and almost empty, so we had all gardens just for the guys. The time of a year for the shoot, it was middle of October, was chosen on purpose too. 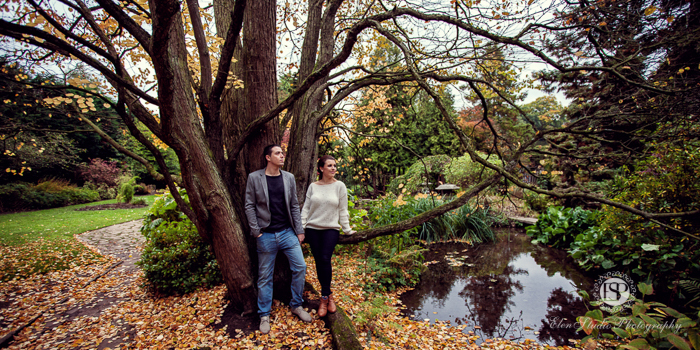 Rebecca and Daniel wanted to have their engagement photographs different to their wedding pictures. So we thought that photographs taken late autumn would have very different colours and atmosphere in contrast to their Summer wedding. During the shoot we had a walk around the grounds and the garden. At Newstead Abbey you don’t have to go far to get a different but still stunning surroundings. It’s got everything: gardens, waterfalls, stairs and a hall. So within an hour or so we were done with lots of pictures taken. 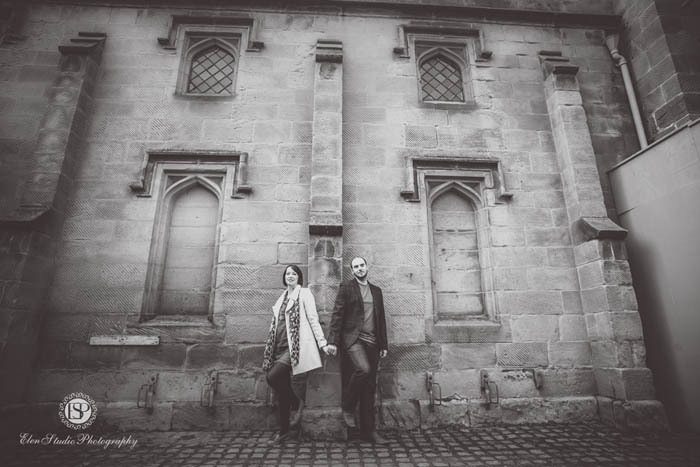 This Newstead Abbey is such a fantastic location for an engagement photo session! Many thanks to Rebecca and Daniel for preparing to this session so well – look forward to photographing your wedding in June! 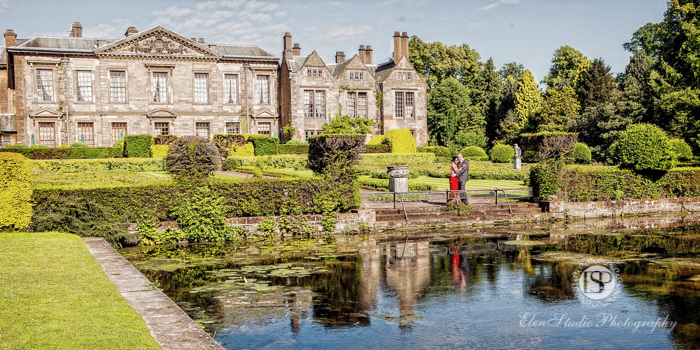 Rita and Jon’s engagement photo shoot took place at a beautiful Warwickshire place – Coombe Abbey Park. Although we are based in Derby, we love photographing engagements at different locations. For an engagement photo shoot we always advise our couples to choose location which means something for them, or may be just beautiful park. I love photograph girls in Indian outfits. I was so happy when Rita suggested to wear her Indian wedding ceremony outfit during her Coombe Abbey engagement photo shoot! Perfect make up, lovely hairstyle, beautiful dress and great weather! You don’t need anything else to take stunning shots. Of course, when you wear an Indian style dress or a special occasion dress, it brings more attention form people around. It gets quite difficult to be unnoticed by others and you have to be ready that some people would ask what the reason for the shoot 🙂 Especially it can be difficult for shy persons. But Coombe Abbey has got huge area, many little paths, so we used not so popular parts of the park for the shoot. To check where we need to go I arrived half an hour before we started. Thank you to Rita and Jon – we had a nice walk around beautiful ground which we finished by taking some pictures in front of the Coombe Abbey hotel as you can see on photographs below. Do you have an idea about your engagement shoot or even proposal? Then call me 07733158177! I’d love to discuss this with you. 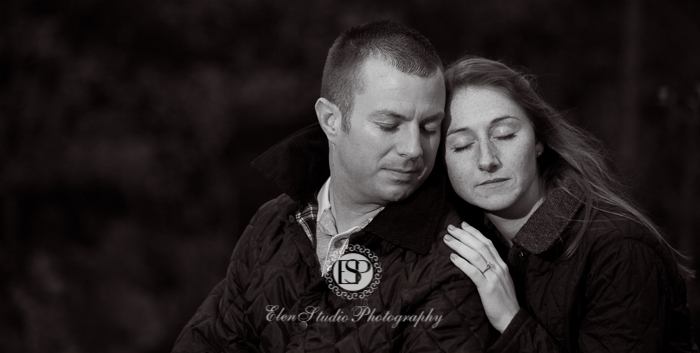 This Elvaston Castle engagement story was different from most of other Derbyshire engagement photo shoots. For our couples an engagement shoot is normally the first photo experience with us. Unlike others, I first photographed Stacey and Jon with their gorgeous little boy when doing his newborn photo shoot. Only then they realised that I aw a wedding photographer too and asked me to do a photography coverage of the next important event – their wedding day. I think we took some great pictures. 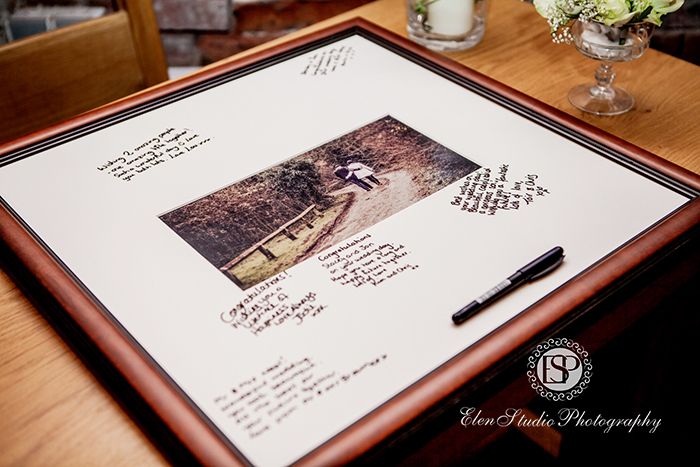 It speaks for itself that Stacey and Jon decided to frame one of the photos in a signature frame for guests to sign on the wedding day. Personally, I was very happy with their choice as this photo was my favourite picture too 🙂 Right from the newborn photo session I knew that the guys and I feel the same about photography style. Do You Need to Have an Engagement Photo Shoot? Since you are engaged, now you would be planning the details for your big day, from invites and flowers to music and wedding photographers. With all these things clouding your mind, overlooking the engagement photo shoot is a common mistake performed by couples to be wed. Your engagement ceremony is something that is filled with love, joy and anticipation and capturing this event of your life can be as thrilling as capturing the moments of your big day. There are several benefits of having an engagement photo shoot (commonly known as an e-shoot). Below are few reasons why you should not pass the opportunity of having the pre-wedding shoot. As time passes and you get closer to the wedding day, you find yourself getting busy with different things. So your engagement is an ideal time for an e-shoot. Since the vision of your future and beautiful moment of the proposal would still be fresh in your mind, that emotion would be clearly captured in your photos. This engagement photo shoot happened on a lovely spring time in May. I love spring; I think it’s the most beautiful time of the year! And I love May, because it’s time for my birthday :)))) As Derbyshire wedding photographers, we quite often take pictures and organise photo shoots in our area. This time we went to beautiful Markeaton Park to take some lovely engagement photographs of Jakki and Mark. I always discuss outfits with my couples. One of my advices to wear something showing your personality and make you feel comfortable. 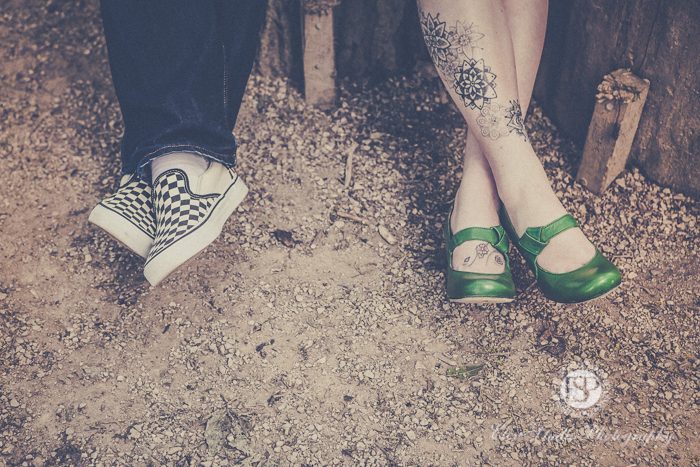 I really like a vintage feeling of this engagement photographs. I knew that it has to be old style post processing for photos once I saw Jakki and Mark in the park. Don’t forget to come back and check our blog for advice and tips from wedding experts! 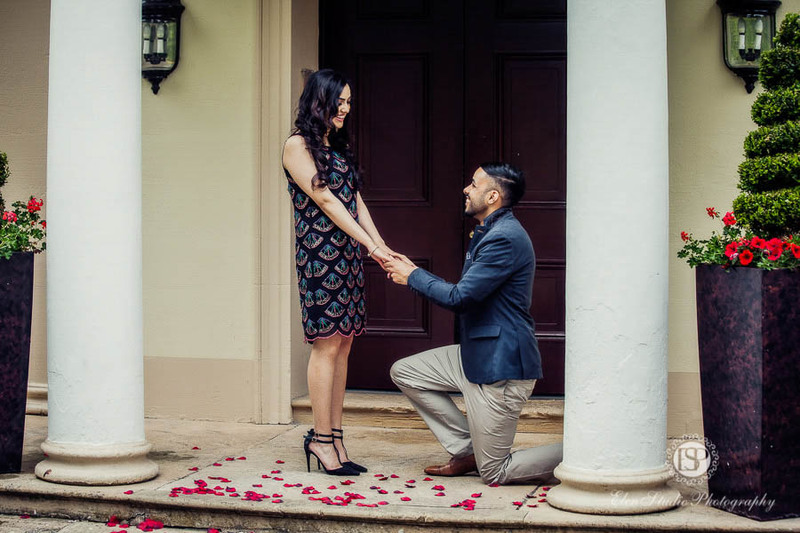 In this post I’d like to share some photos from an Eastwood Hall proposal photo shoot of Jindi and Sonam. This is actually an interesting story. This was a real proposal, and a surprise for Sonam. 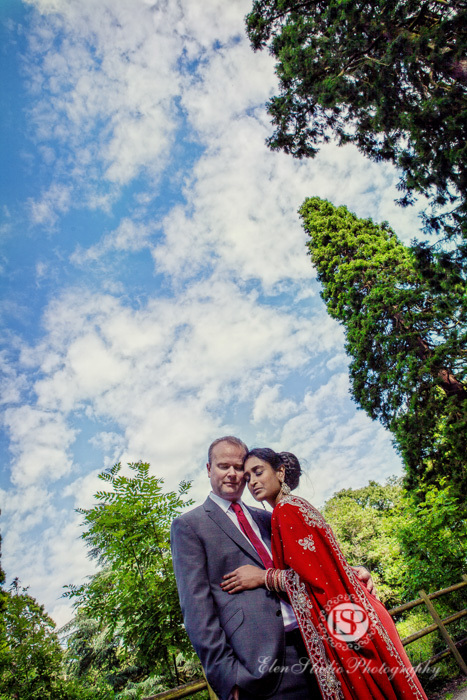 Back in summer, Jindi asked me if I could photograph his proposal, but that was a secret for his fiancee to be, Sonam. We met at the hotel and had a gentle walk around the grounds of the hotel, which comprises a fairly large green area, with large trees, a pond a hill with a countryside view. For this part of the shoot I asked them to get dressed smart casual. For the second part of the shoot, the guys dressed more formally. We did not have to go far – Jindi made a proposal under a beautiful arch of Eastwood hall hotel. This was quite an emotional moment – Sonam said YES! Here are some new engagement photos Derby to share with you. These engagement photos are new at my blog, but actually I took them back in February (looks like so long time ago! ), at Darley Abbey Park in Derby. Marianne and Daniel, a lovely couple who are going to get married in November, have suggested this place for the shoot. Even without the nature being in bloom, there are lots of opportunities for photography in the Darley Abbey park. The guys were ready to do something unusual, and we found an interesting building with turquoise coloured windows; the reflection of the sky was just fabulous; it served an excellent background for some of the photographs! 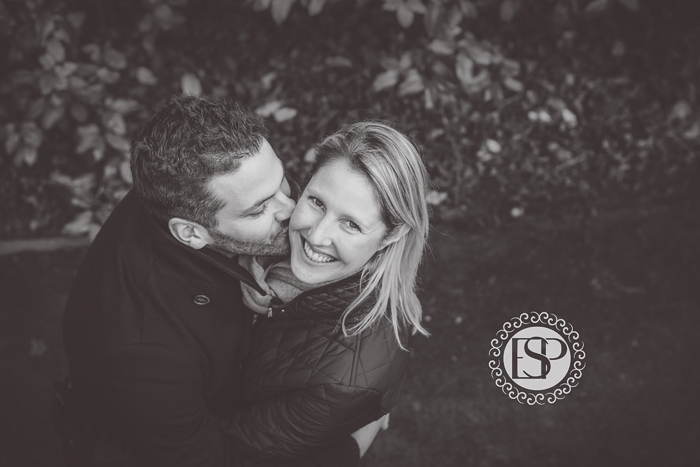 Engagement photos of Sian and Rob were taken on a spring day at our favourite location, Elvaston Castle Park. The guys liked it too as it was quiet, picturesque and with only few people around. We had a stroll through the wood, then the Elvaston Hall court yard, visited the gardens and took few shots next to the lake. Sian and Rob were very interested to get good shots and were ready to spend some time for it. After an hour or so we had a selection of very different engagement photos, while all of them showing connection between the bride and the groom to be. Here are few pictures from the shoot. Looking forward to photographing Sian and Rob’s wedding soon!